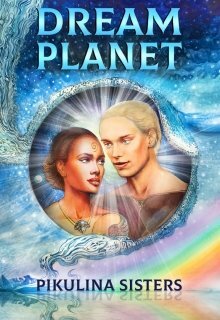 Аннотация к книге "Dream Planet"
For over 22 years now, since my earliest memories, I close my eyes and see the same dream over and over again. In front of me, there is a world with an endless dome sky, sprinkled with stars, gigantic green plants, and a multicolour buffet of herbs and fruit. It's a world that's warmed with the light of a golden sun, whose rays simply radiate warmth without killing anyone, almost as if from a fairytale. It's a world filled with crystal-like water and uncontaminated oxygen. My visions are so bright that they outshine reality itself. Every time as I wake up in my capsule, it's as if I return to the shadows, stepping away from that pure light. Going to a space station with the task of catching a dangerous spy, I couldn't imagine that this would be the person to reveal the truth!